Did you know that fixing and maintaining aircraft has a direct impact on spreading the gospel around the world? 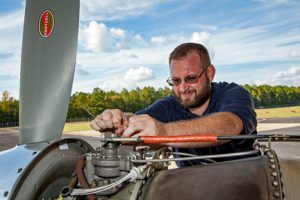 Did you know that one of our greatest needs in missionary aviation today is aviation mechanics? You can be part of the aviation team serving with JAARS, helping to provide safe, reliable, and technically sound aircraft, flying over some of the most inhospitable terrain in the world, delivering God’s Word to people who don’t yet have it. Ensure aircraft are maintained in an airworthy condition and available for dispatch, meeting the demands of busy mission flight schedules.